Work is being undertaken at Carpenders Park Farm Care Home where Mick George Ltd are implementing earthworks as part of the project on behalf of Wildgoose Construction Ltd.
Disused for many years, the Carpenders Park Farm properties on Oxhey Lane, Watford was released for sale back in 2016, and activity will shortly commence on a new 78 bed care home on part of the land. Construction specialist Mick George Ltd will begin earthworks for the project on behalf of Wildgoose Construction Ltd imminently. The new build scheme comprises of 78 bedrooms with en-suite facilities for the elderly – specifically for nursing and dementia care, with associated amenities that include; car parking and a private landscaped residents garden. 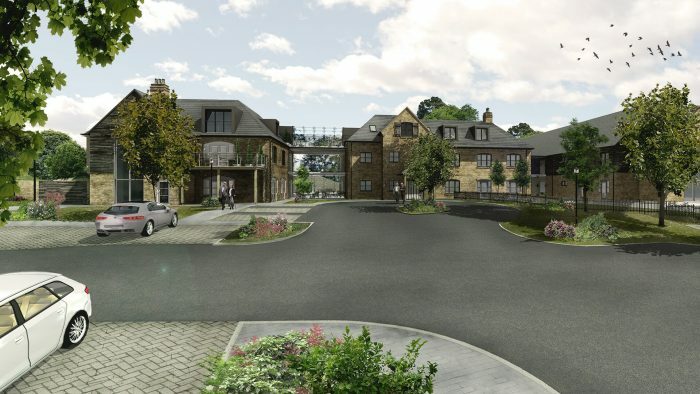 Baycroft create luxury care homes and senior villages in beautiful surroundings, designed to cater to the varying and individual needs of all residents, providing the highest levels of care. Created by One Housing – one of the UK’s largest housing associations, the group possesses over 50 years’ experience, managing 15,000 homes in the South East.